A reader would like to use his Time Capsule only for backups, not as a Wi-Fi gateway. Is there a way to use AirPort Time Capsule for wireless backup only—that is, without using it as a wireless router too? 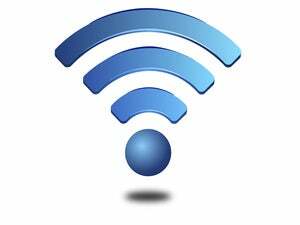 I already have a non-Apple Wi-Fi router in use, and do not want to replace it quite yet. Yes, absolutely. You can connect the Time Capsule via ethernet to the rest of the network via its WAN port, and it will be available to any computer that connects to the network, whether that Mac is using Wi-Fi or not. 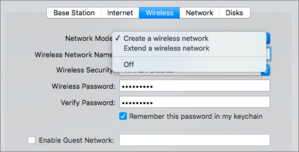 You can disable a Wi-Fi on Apple’s base stations via the Wireless tab in AirPort Utility. When and if you’re ready to use the Time Capsule to act as a Wi-Fi base station, follow the above steps and in step 5, choose Create a Wireless Network for a standalone network or one that’s connected to others via ethernet, or Extend a Wireless Network to make the Time Capsule connect wirelessly to another base station that acts as the main hub on the network, and is connected to a broadband modem.